What are the origins of the coaching profession? The origins of coaching come from many different disciplines and as we go through training here at International Coach Academy, we see that there are influences from psychology, from the business world, from sociology, from all different approaches to life. But the very first coach as we look at our history books of coaching, is a gentleman by the name of Thomas Leonard. Back in the early to mid-1980s he was working as a financial planner and he saw that a lot of concepts that his clients were working on, were outside of simply knowing how to handle money or knowing how to save for retirement. The concepts they were looking at had to do with how to live their lives, so he begun to see this as a holistic approach, looking at not only a client’s finances but also looking at their health and wellness, work life balance as well as their relationships and spirituality. So this holistic approach that Thomas took, still a cornerstone of what we look at as what coaching is about today – it’s very much a holistic approach. 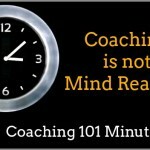 There’s a really great definition that Thomas Leonard coined that I think really describes the definition of coaching and I want to just read it for everyone here as I think it’s really great to have in your mind when you’re looking and thinking about coaching for yourself. your partner in living the life you know you’re ready for, personally and professionally. 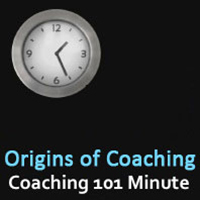 We can thank Thomas Leonard for the fact that we are here today listening to this audio about coaching in the first place, as he was the very first coach looking to define the origins of coaching. What are the time slots for classes? How many people attend classes? So, if you want to learn about those questions as well as learn more about the origins of coaching, I really encourage you to attend one of our upcoming Coaching 101 this next week. Go to a calendar and find a time option that works best for you and we will see you in class.